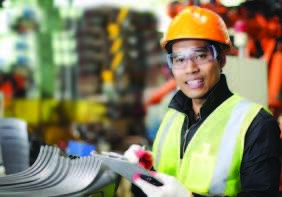 At Machine Safety Management we believe that every machine injury is preventable. We provide a comprehensive plan for helping our customers build a machine safety program. It’s our core passion and purpose. Learn more in this short overview of who we are, and why Machine Safety Management is a great partner to help you become compliant and help safeguard your operators. Machine Safety Management’s software provides a robust way of auditing, documenting, and helping to ensure compliance of each machine on-site. It is a great tool for Health and Safety or Facilities Managers to oversee multiple sites or a single site. The Canadian Demonstration video will walk through how the software helps meet the regulatory needs in Canada along with some of the latest requirements of employers. It also demonstrates the many functions and uses of the software including documenting due diligence, a key requirement in any safety program. Machine Safety Management’s United States demonstration will walk through how to use the software to help setup a machine safety program. It reviews the basic requirements of Health and Safety or Facility Managers and how the software can help them become complaint and stay compliant. It also demonstrates the many functions and uses of the software including documenting due diligence, a key requirement in any safety program.